This past Monday I noticed some high clouds moving into the city during the afternoon, thinking it could make a nice sunset over the city. Just prior to sunset some thicker clouds took to the sky in the west, but even with this I headed to City Park just east of downtown Denver. 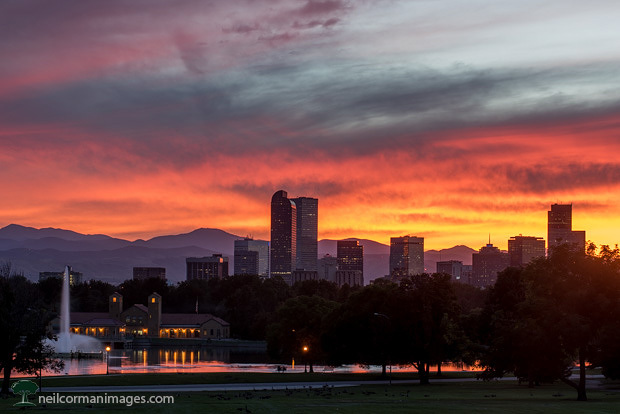 Just after the sun went down the sky started to light up in varying colors providing the above image of sunset in Denver.